Cats love to snuggle, so choose a bed as soft as they are with the Me & My Pets fluffy cat bed range. In a wide range of fabrics, sizes and styles, you can choose a bed which not only matches your cat's preference, but also matches the décor! 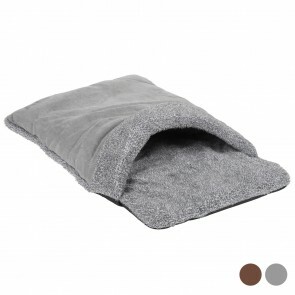 We stock everything from rose gold luxury beds to cosy pouches, tunnel beds and even faux fur fluffy igloos.